Almo Professional A/V has unveiled its new Almo Hospitality Division. The new division provides a customized combination of expertise, products, services, and support for the hotel and lodging industry. The Almo Hospitality Division enables integrators and resellers serving the hospitality market to equip every major area of a hotel, ranging from guest rooms and common areas with comprehensive AV, to restaurants, bars, ballrooms, and meeting rooms. According to STR, the U.S. hotel industry is projected to experience continued demand growth through 2017, which has outpaced supply growth each year dating back to 2010. “In line with the data, Almo has achieved dramatic growth in the hospitality market segment in the last several years,” said Sam Taylor, executive vice president and COO for Almo Professional A/V. “We’ve assembled a group of seasoned internal and outsourced hospitality experts from which we create customized teams based on the project requirements of our hotelier suppliers and integrators. 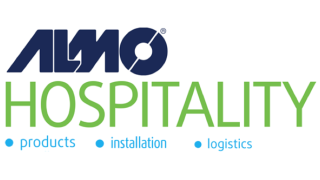 The Almo Hospitality Division is hosting a conference for hospitality resellers and integrators in conjunction with the Almo E4 AV Tour that will take place in Chicago on March 21 and in San Jose on April 18. The conference features a keynote session on the future of smart buildings and hotels, plus a full day of hospitality-dedicated sessions led by Samsung, Steven’s Digital, Comcast Business Solutions, TeleAdapt, Kube Systems, and more. Almo is also hosting several free hospitality-themed webinars, focusing on topics such as hospitality charging trends, the secret weapon to winning larger hospitality projects, creating a positive guest experience, hotel TV streaming, commercial or consumer versus hospitality displays, and more. • Stephen McKay, senior vice president, special markets: McKay leads all activities for five unique markets, which include hospitality, new business, direct market retailers, global sales, and representative firms. He is responsible for the day-to-day operations for these groups, including budgets, relationships, and business growth. Prior to Almo’s acquisition of IAVI in 2016, McKay was senior vice president of sales at IAVI for 17 years. Before then, he spent many years managing resort properties and onsite restaurants in New Zealand. • Eric Steiner, director of hospitality: Steiner oversees all hospitality sales and account managers as well as key strategic reseller partnerships. Before Almo, Steiner was hospitality sales manager for IAVI. He’s also held national account manager and business development positions at PDI Communications, Accelerated Broadband, and English Distribution. • Apryl Lamberti, director of business development for hospitality, CSP, DSCE: Lamberti serves as the liaison between hospitality vendor partners and resellers with a specialty in Samsung Hospitality. She creates customized hospitality programs and drives sales growth by leveraging the support of manufacturer partners. Before this position, Lamberti was a business development manager for Almo Professional A/V. She’s also held national sales manager, regional sales manager, and national account manager positions at TOA Electronics, ADT Security Services, and SecurityLink. Almo has partnered with numerous featured manufacturers with hospitality-based products and solutions, including Samsung, Kube Systems, TeleAdapt, Listen Technologies, Danby, GE Appliances, and more.